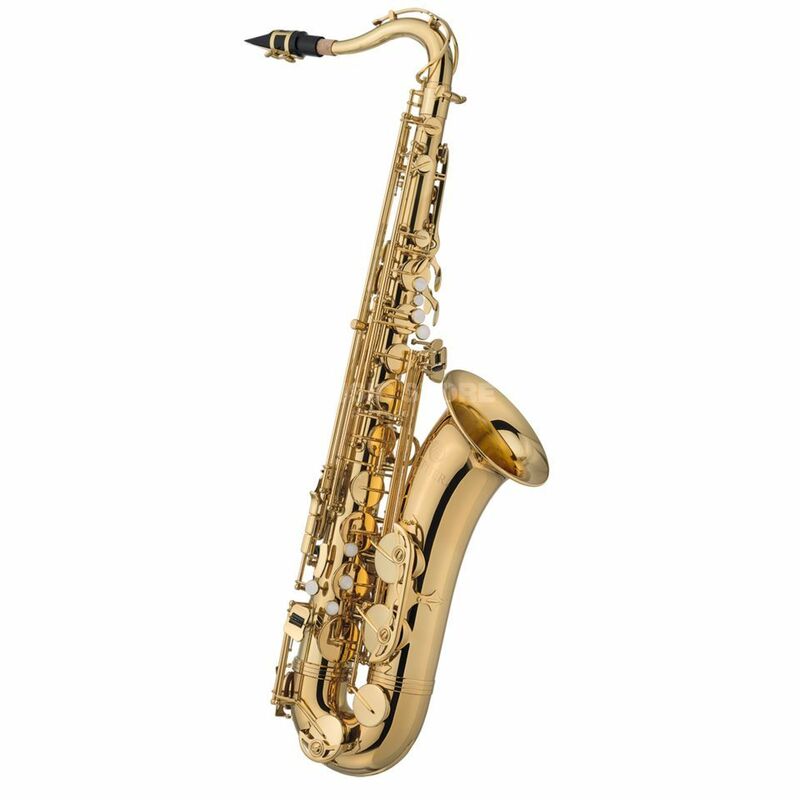 The Jupiter JP 587 II GL-Q Bb Tenor Saxophone Gold Lacquer is a Bb tenor saxophone, featuring a brass body and mechanics, with a high F# key, blue steel springs, and a gold lacquer finish. This saxophone comes with a lightweight case and mouthpiece. This popular entry-level model of Jupiter has been improved and now offers even more comfort and control. The mechanics are now equipped with stable blue steel springs and runs smoother. That makes the play more challenging passages even more fun. The deposits in the key mechanism has been optimized for smaller hands and more ergonomic. The rocker for the notes C and Eb is also noticeably more accessible. As with the new 7 Series, the Anschlagfilze are adjustable in the flaps baskets and bend an intonation weakness before. The entire tone lattice was resurveyed and designed. This also makes the intonation could be optimized and supported the beginner as well as the students learn. The Wallflower ensures a warm and balanced sound. Especially popular the JP-587 GL-Q II is due to its robust design and low weight of the instrument. The kit includes a mouthpiece and a light case with sling system. Very good instrument, which features detailed craftsmanship and excellent tone. I think at the price, this instrument is classified as the best buy category. Sax came in good gig bag and everything was in place. As a beginner, I chose Vandoren reeds 2.5, but very quickly I opted for 3 and 3.5. Simply, from this instrument easily out massive tone.